With offset in four ongoing cases of port regeneration projects across Europe, Ramboll Management Consulting has landed a new project to formulate a best-practice framework for port-city policymakers. Brest (France): One of the four best-practice cases in question. By restoring the port with eye for its antique history, the city of Brest is not only expected to harbour economic growth in the years to come - but also culture and liveability. 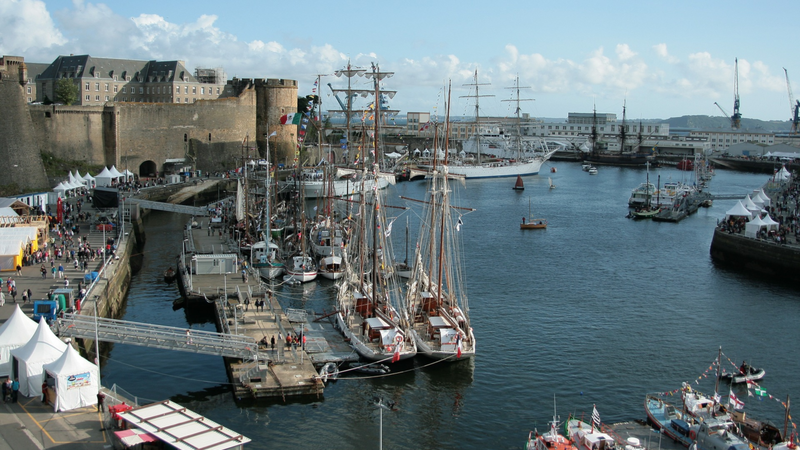 Brest (France): A succesful, sustainable, and seamless port restoration that has proven to be good for the local environment both economically, aesthetically, and culturally. Today, city-ports are more than epicenters of global trade. Europe’s oldest ports have been around for more than 3.000 years, meaning their cultural and economic role of connecting Europe both trans- and intracontinentally has been huge. Quebec, Stockholm, Miami, and others have all seamlessly united urban environment and city-ports despite exponential growth in commercial ship trade since the 1950-invention of the container. But that seamless integration, especially to smaller European cities, is both complicated and expensive. With that in mind, Ramboll Management Consulting, professors from the University College Dublin and the University of Palermo will research four port-cities over the next year with the aim of developing a best-practice framework for future port regenerations of small- to medium-sized port-cities in Europe. The client is ESPON, EU’s programme for evidence-based territorial development. “Our research will be a strong basis for decisions within the area of port regeneration. It will provide understanding of how successfully modernized ports like the four in question can be drivers of sustainable urbanization, growth and resilience. And - on a more practical level - how and when ports are considered successfully modernized. Funnily enough, I’m from Brest myself so this project feels like home in several ways,” says Xavier Le Den, Head of Ramboll Management Consulting’s Brussels office. The feeling of home-turf also hinges on Ramboll’s strong expertise in ports and marine, e.g. feasibility studies, legal consulting to port enlargements and climate plans to name a few. Aiming for a more economically competitive continent, the project framework will equally make the expected costs and benefits of restoring ports easier to accommodate, as well as reveal potential territorial capital in the region. The project, named “ENSURE,” is expected to be completed in the late part of 2019.